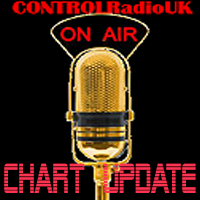 In this Mid-Week Chart Update we're taking a look at potential new entries, non movers & who is sliding up & down the CONTROLRadioUK this weekend. Quite incredibly, having been a mainstayer on the CONTROLRadioUK Charts since before even Christmas, Brian Kelly is heading back to #1 this week. Yes, Better Man after slipping 3 places last week, is on course to climb 4 places. Also climbing this week is Ben Davidson's latest single Fallin In which is on course to move up 1 spot to #2. Track Not Found are also set to climb up one spot with Saint Tears sitting at #3 on the mid-week chart, but it is all extremely tight with not much separating any of the entries this week. Verity White continues to slip down the chart with the former #1 on course to slip another 2 places to #4 on the chart. She's joined by Claire Hennessy whose one week reign at the top of the CONTROLRadioUK Charts seems to be over as April is at #5 on the mid-week chart. Having slipped 2 places last week, Wild Meadows are on course to be the first of our non-movers this week. Their single Fever is sitting pretty at #6. Another non-mover after slipping once place last week is Kamryn Marie with her single Together still at #7. After featuring on the CONTROLRadioUK Staff Picks last week, Crashing Cairo are on course to break into the top 10 with their new single It's Not Like Life entering at #8. They look set to be the only new entry this week with OYA's single Hold The Door and Sebastian Azul's I Am The Boy (They Just Don't Understand) looking to hold firm at #9 and #10. As always though, there is still time for this to all change. Chart Positions are decided by how many listens a track gets each week. If you want your favourite to feature in the top 10, tune into CONTROLRadioUK!